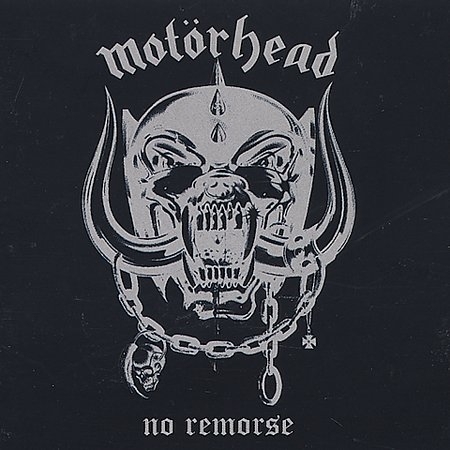 MOTORHEAD - NO REMORSE DELUXE EDIT. (2CD) | Online Shop | Wizard LTD. Album: "NO REMORSE DELUXE EDIT. (2CD)"
There have been dozens and dozens of Motorhead compilations released over the decades, but the first one remains definitive, even if it&apos;s not perfect. Released in 1984 as a gap-filler -- for Motцrhead were regrouping in the wake of the bandmember shuffling that followed the odd Another Perfect Day album -- No Remorse compiled two-dozen songs across two discs (latter-day editions adding a good serving of bonus tracks, too). Many of the band&apos;s best songs to date are here, like "Ace of Spades," "Stay Clean," "Overkill," "Bomber," and "Iron Fist." There are also four new recordings that were cut exclusively for No Remorse: "Killed by Death," "Snaggletooth," "Steal Your Face," and "Locomotive." These four songs were cut by the newly instated four-piece lineup that would go on to record Orgasmatron (1986): guitarists Michael Burston and Phil Campbell, drummer Peter Gill, and of course, bassist/vocalist Lemmy. These new recordings make No Remorse more than a standard greatest-hits package, as do the number of stray recordings compiled here as well. For starters, No Remorse rounds up "Please Don&apos;t Touch" and "Emergency," which were released on a 1981 split EP with Girlschool, St. Valentines Day Massacre. It also rounds up an early single ("Louie, Louie") as well as a pair of B-sides ("Too Late, Too Late" and "Like a Nightmare") and a tossed-about live cover "Leaving Here." The inclusion of these stray recordings likewise makes No Remorse more than a standard greatest-hits package. Rather, it&apos;s a collection that caters to newbies as well as completists. And furthermore, it plays well, as the new songs and stray material are sequenced toward the end of each LP side, so the collection ebbs and flows between the familiar and unfamiliar, between the great and good. Granted, a straightforward best-of collection may be more suitable to newcomers looking for a one-stop compilation. For instance, No Remorse doesn&apos;t account for the wealth of music Motцrhead would release post-1984, and too, it misses a lot of great songs that could have taken the place of the odds and ends rounded up here. So a straight-ahead, single-disc chronological survey would be a nice alternative, especially one that accounts for late-&apos;80s highlights like "Deaf Forever," "Orgasmatron," "Rock &apos;n&apos; Roll," and "Eat the Rich." But there&apos;s something to be said for tradition, and No Remorse is to Motцrhead what We Sold Our Soul for Rock &apos;n&apos; Roll is to Black Sabbath -- an age-old collection that every metalhead seemed to own at some point, the one that seemed to define the band for generations on end. No Remorse is one of those classic albums, no doubt. Motorhead includes: Ian "Lemmy" Kilmister (vocals, bass); Fast Eddie Clarke, Wurzel, Phil Campbell, Larry Willis, Brian Robertson (guitar); Philthy Animal Taylor, Lucas Fox (drums). Additional personnel includes: Wendy O. Williams.